What’s Portugal like to live in? Portugal is an incredibly friendly place. Both the locals and the overseas residents and generally open and easy to get to know. Furthermore, Portugal is an extremely safe country by global standards. The country comes fourth in the Vision of Humanity Global Peace Index, beating such diverse competition as Switzerland and Singapore. Portugal also appears significantly higher up the rankings than Spain, its nearest neighbour. If you’re a single person contemplating life abroad, these factors alone make Portugal undeniably appealing. However, there’s plenty more to get excited about. Portugal is one of the sunniest places in Europe, for starters. While the country is not as universally cheap as it once was, the cost of living is still very low. This is especially the case when you compare countries in northern Europe. A very enjoyable life is feasible with a limited budget. If you’re thinking of buying in the next six-twelve months, do get your free tickets to the next Your Overseas Home shows. It’s designed specially for serious buyers, with sector experts ready to help you with your property hunt, legal questions, financial matters and more. Portugal is also incredibly welcoming to those from overseas. In January 2019, the country’s government announced special arrangements to make entering the country straightforward for British tourists, regardless of the outcome of the Brexit negotiations. Those are still ongoing at the time of writing, and precise rules and details will depend on the outcome. However, gestures like these go to prove that Portugal works hard to remain inviting to those from the UK. So, with all that in mind, let’s delve into the detail of life in Portugal for singles. How can you meet other people? One thing you really needn’t worry about if you plan to move to Portugal alone is meeting other people. Moving to Portugal as a single person isn’t at all unusual. This applies to men and women, and both pensioners and younger people. As well as those who move to Portugal to stay permanently, plenty head to the Algarve and elsewhere to spend the winter. Many take advantage of inexpensive off-season rental. These are often a bargain and allow people to enjoy three to six months in a milder climate. Joining expat groups is a great way to meet people if you’re moving to Portugal as a single. Singles making this lifestyle choice include individuals from the UK and Ireland, and plenty from elsewhere in northern Europe, including Scandinavia. It’s not uncommon for people to repeat this trip annually. In some cases, the people concerned go on to make a more permanent move to Portugal. All of this means that there are always new arrivals keen to meet new people. Friendships are quickly formed, and there are plenty of opportunities to bond over common interests, from golfing to watching the football or racing in a local bar. You can be as proactive as you wish to be when it comes to making friends in Portugal. Over time, you will find you meet people naturally. All you need to do is hang out at the same places as those with similar interests. However, if you want to kickstart the process of expanding your network, you’ll find plenty of opportunities. Most towns have book groups, exercise classes and walking clubs. In places with larger overseas communities there are even expat choirs and amateur dramatics societies. Fiona, our Vilamoura columnist, recommends charities and volunteering as another good way of joining in your local community (and maybe practising your Portuguese!). Online forums and Facebook groups are a good place to find out about such groups. You will also often find options in the country’s two English-language newspapers, The Portugal Resident and The Algarve News. There’s certainly no stigma attached to singles in Portugal. There are plenty of people thoroughly enjoying the single life in the country, They are free to interact as much or as little as they like with others. We point this out not as a huge downside to Portugal but more a rare cultural quirk. Similarly, it’s fair to say that single women are more likely to find their counterparts in coffeeshops and pastelarias (cake shops) than in neighbourhood bars, which can feel like something of a male domain. However, given that Portugal is a place where outdoor living is prevalent, most of the time people from all of the different establishments find themselves sharing sunny pavements anyway! Where the scene does differ is in association with Portugal’s generally laid-back pace of life. Outside of the cities, nobody is in too much of a hurry. This means people have more time to get to know each other and discover that they have things in common. It’s not at all unheard of for romances to blossom between overseas residents and those in the country on extended winter breaks. Most towns and villages in the Algarve have such love stories to tell, and it’s always heartwarming to see the winter residents return with a partner they met the previous year. Attitudes to LGBT dating are generally quite relaxed, particularly among younger generations, and especially in big cities like Lisbon. Whether you hope to find love in the sunshine, or would rather enjoy the solitude and peace and quiet, Portugal can tick the necessary boxes. Many people of all ages make Portugal their home, and some find romance even when they weren’t looking for it. Whichever way you look at it, Portugal for singles holds an awful lot of appeal. Small one-bed and studio apartments are very affordable in Portugal, and the savings could seem huge if you’re used to UK prices. In the sunny Algarve or the city of Lisbon, one-bedroom apartments start at around €100,000. Those interested in quieter and less well-known areas can purchase a compact home for less than that. You can get the best price for your property with the tips in our free guide, How to Negotiate Abroad. Get your copy today. Day-to-day living costs are comparatively low too. Particularly worth mentioning are everyday “luxuries” such as coffee in local cafés for less than one Euro, and prato del dia lunches, including desserts and wine, for less than ten. It’s very fair to say that when it comes to lifestyle, Portugal for singles can seem distinctly more appealing than what you may be used to back home! If you’re moving to Portugal at working age, or would like to do some work to stay active, you have several options. It’s certainly fair to say that those options are restricted if you can’t speak Portuguese. However, they’re not non-existent. Plenty of expats in Portugal make some money by helping to maintain and manage rental homes and by dealing with Airbnb checkins. For entrepreneurial types, there are always small business options in the tourism industry doing everything from walking tours to kayak trips. Seasonal jobs do turn up in catering, but these often disappear when the tourists thin out after the summer. 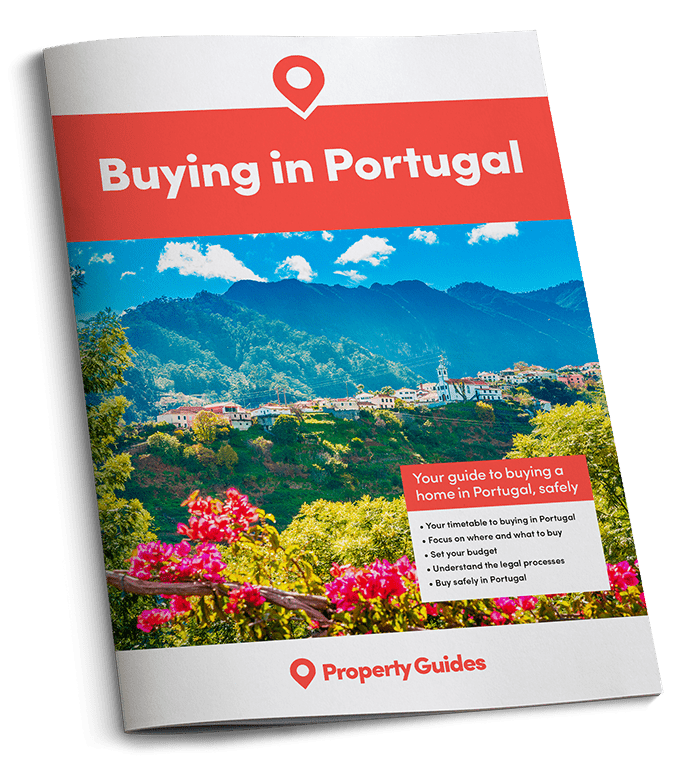 If you’re ready to buy in Portugal, contact the Property Guides Resource Team. We can provide recommendations or introductions to sector professionals and advise you on planning your move. Call us on +44(0)20 7898 0549 or email portugal@propertyguides.com. Another option, which more and more people take up nowadays, is working online via the Internet. This makes location largely immaterial, and plenty of people make their money doing anything from blogging to web design. If the thought of making an online living particularly appeals to you, Lisbon could prove a good destination. The city is increasingly popular with startups and online businesses. It’s also a truly vibrant part of Portugal for singles. If you’re thinking of moving to Portugal as a single person, we say ‘go for it!’ Remember that in areas popular with expats like the Algarve, everyone’s in the same boat or remembers being in the same boat – arriving and not knowing anyone in the local community. You’ll find a warm welcome and soon settle in – and you won’t be able to imagine living anywhere else!